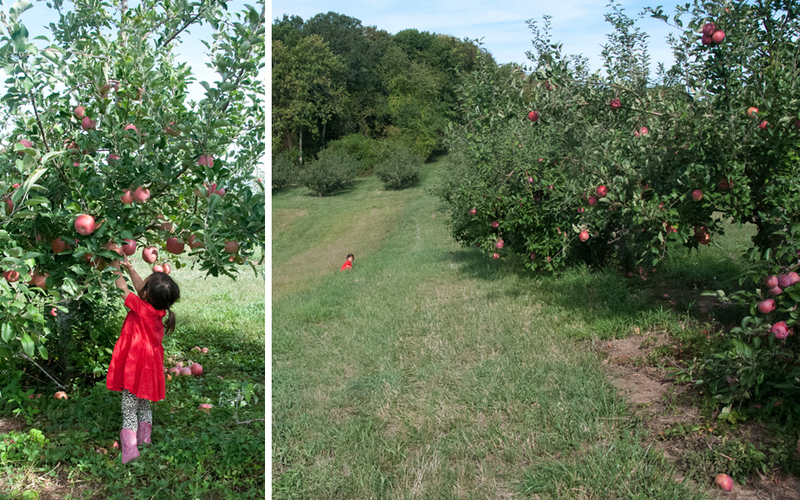 The last time I went apple picking it was 87 degrees out. There was a line to get into the parking lot and a long line to pay. That was on a Saturday afternoon, so I’ve changed my game plan to wait for cooler temps, and to hope for a free week day – when visitor levels are at their quietest. 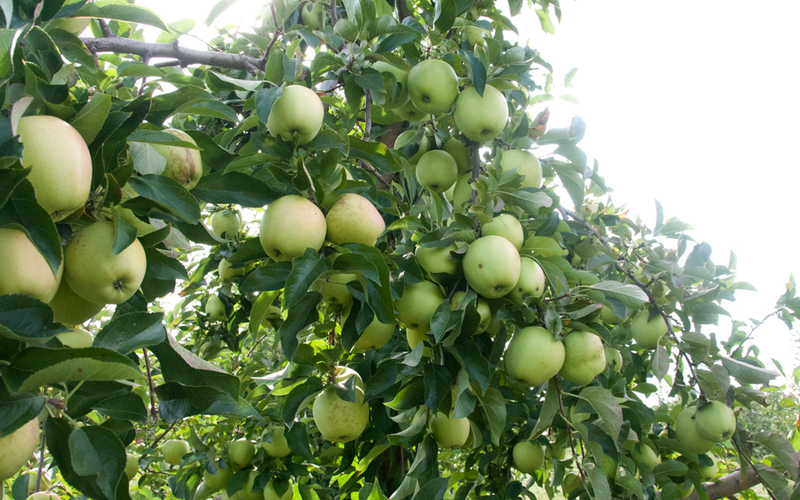 Previous apple excursions have brought us to Silverman’s in Easton and Beardsley Orchards in Shelton, but I always like to visit a new farm. 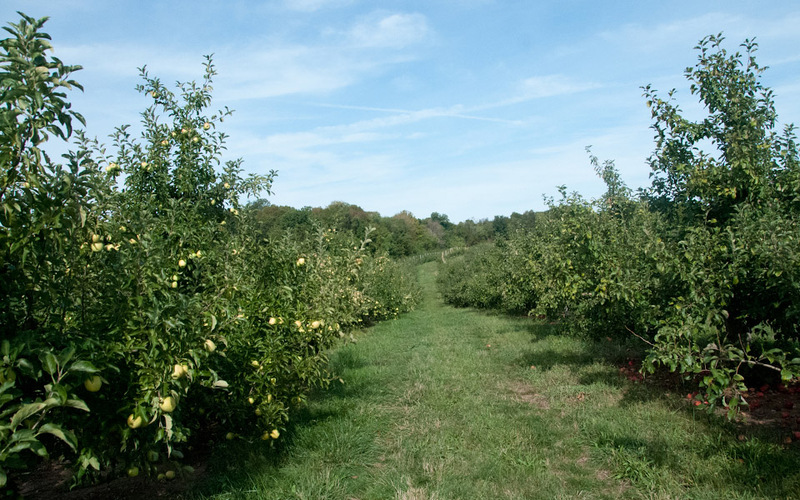 Bishop’s Orchards in Guilford has two different appple orchards, depending on weekday or weekend picking. These photos are from the weekday orchard on “Long Hill Road” There were a few small “pull wagons” available on-site for those planning to do some serious picking. I stuck to a smallest bag, which holds about 10 lbs when filled to the brim. 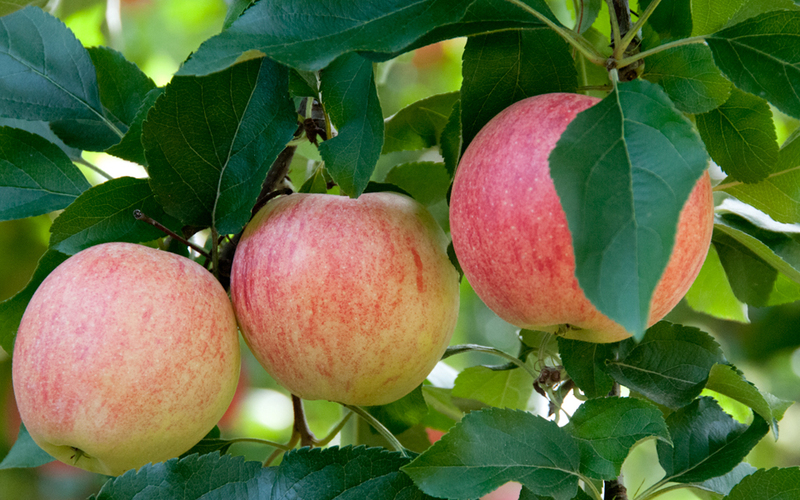 The day of our visit, fuji, crimson crisp, cortland and golden delicious apples were available. 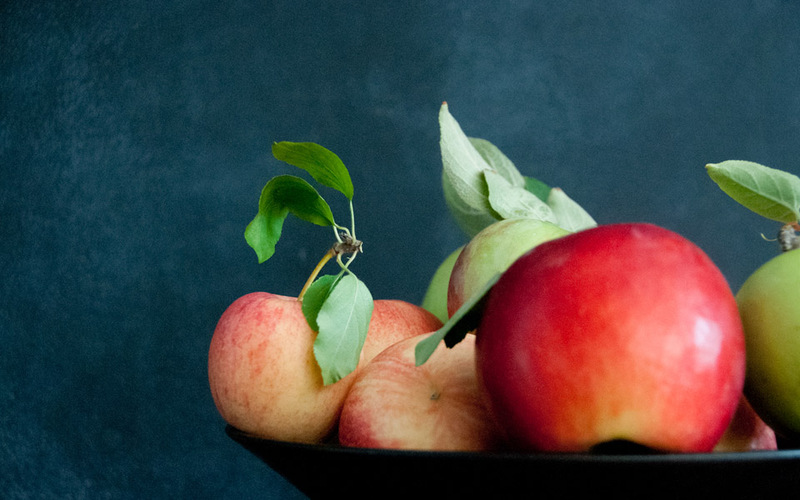 Since I was accompanied by an unpredictable toddler, I also brought my own larger wagon to help carry my apples, camera and a 2 yr old – who wavered between wanting to pick only the “red apples” and wanting to sit down and eat! Plenty of low branches, in easy reach for little helpers. My other September PYO (pick your own) dilemma? I’d rather be eating raspberries. The great news is – if you go to Bishop’s in Guilford, you may be able to pick both. 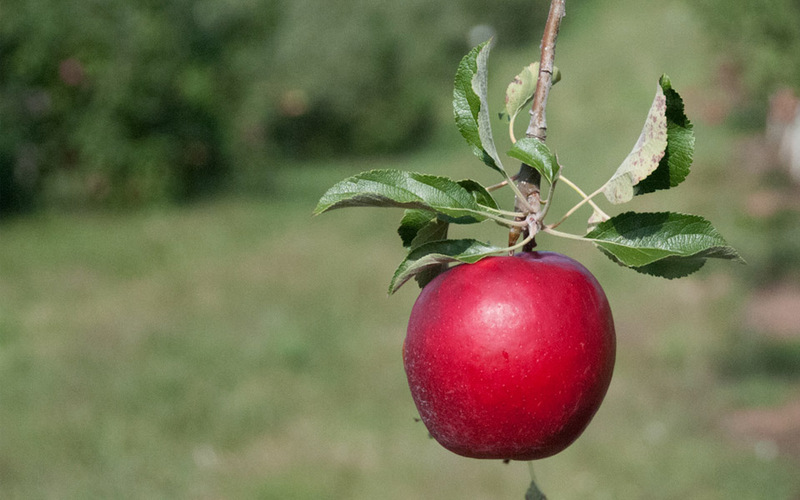 The apple orchard and raspberry fields are just a few miles apart. 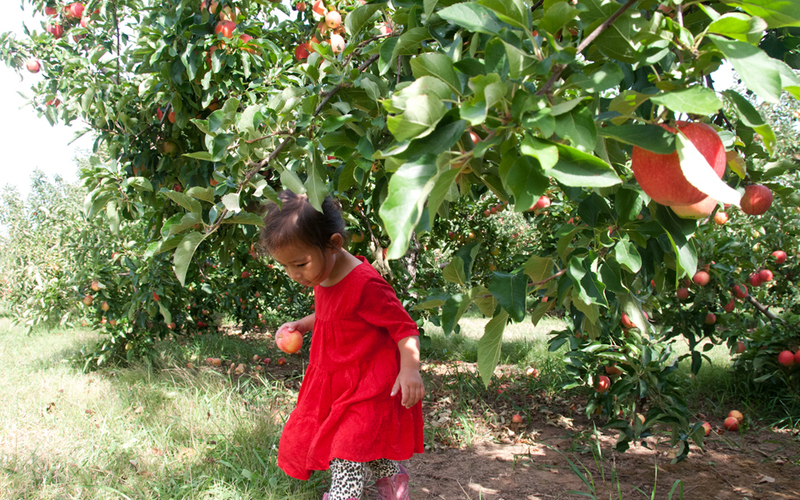 Bishop’s also has a farm market on Route 1 in case you’d prefer someone else to pick your apples for you. Oh, and don’t forget the cider doughnuts.